NORMAN, Okla. (AP) — The University of Oklahoma is warning students that someone wearing blackface has been spotted walking on and around the campus in Norman. University officials notified students via text message Wednesday that campus police are investigating and that it is unknown whether the person is a student. The person has not been located. Several videos were posted to social media showing a man wearing black paint on his face and an OU hat walking near campus. The incident comes less than a week after two students withdrew from the university and apologized after a video surfaced in which one of the women wore blackface and used a racial slur. 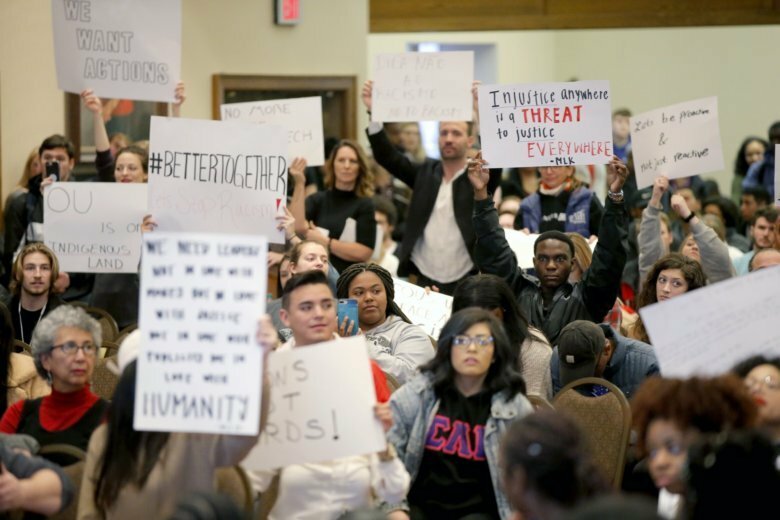 University President James Gallogly attended an anti-racism rally Tuesday and vowed to take action to target racism on campus.